Some animals just have that mothering instinct, and they will take care of any baby they come across that needs help. Some people have that same instinct too. 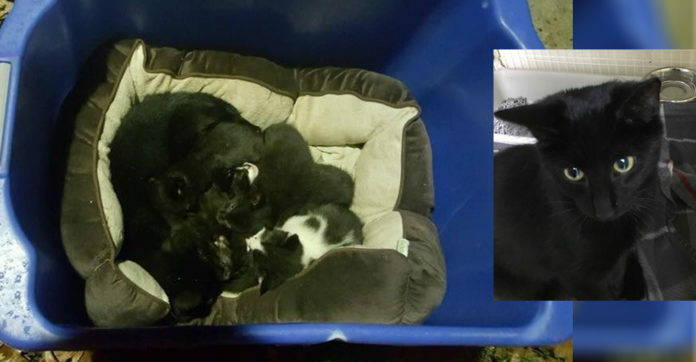 A rescue group in Bloomfield, New Jersey called Homeless Animal Adoption League or HAAL, got a call about a litter of kittens that was found in a basket on the street. 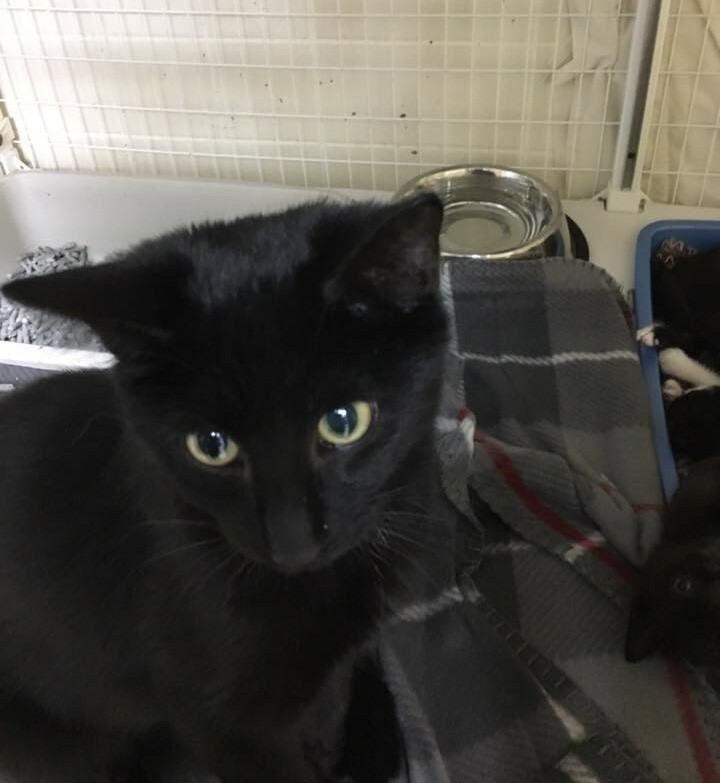 The person who called saw the basket when he was walking home – since the temperatures were falling fast, he knew the kittens would need a warm place if they were going to survive. The rescuers rushed out to the scene and quickly found the basket. 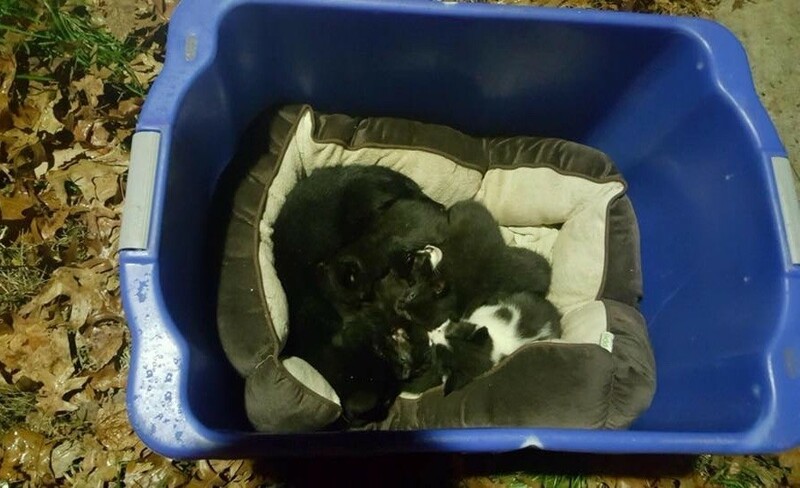 By the time they got there, the basket didn’t have just kittens in it – there was an adult cat there too. 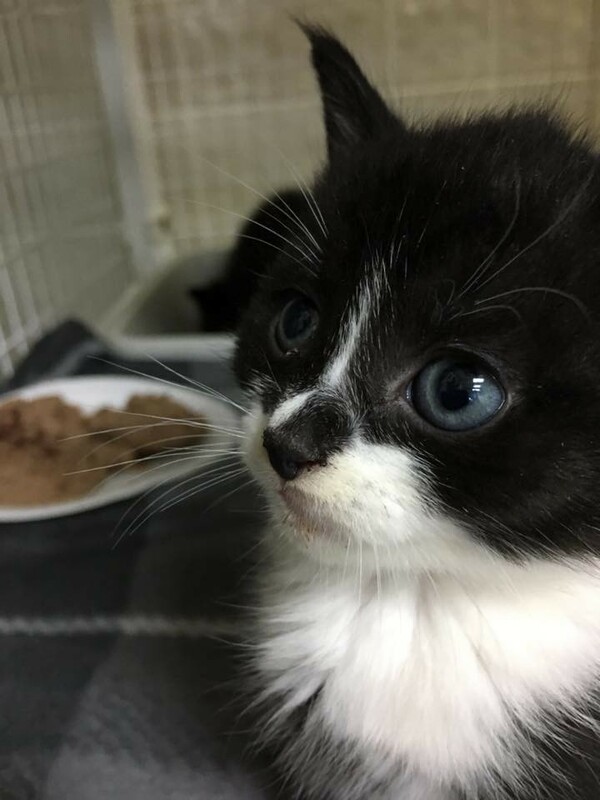 Everyone assumed that the adult cat was the momma.